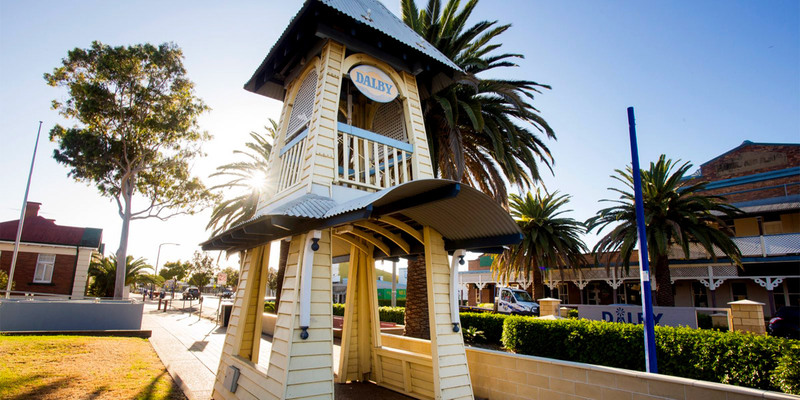 The Dalby Cinema is located in the multipurpose art centre at MyALL 107 in Drayton street. It has enjoyed many different uses over the years starting life as a purpose-built sports centre in 1985 where the locals once played squash. The building was purchased by the Dalby Town Council in 1991 and was formerly their corporate office. The interior of the building was redesigned to become what it is today, hosting the Gallery 107 @ Dalby, 4DDD Community Radio, the library and the cinema. 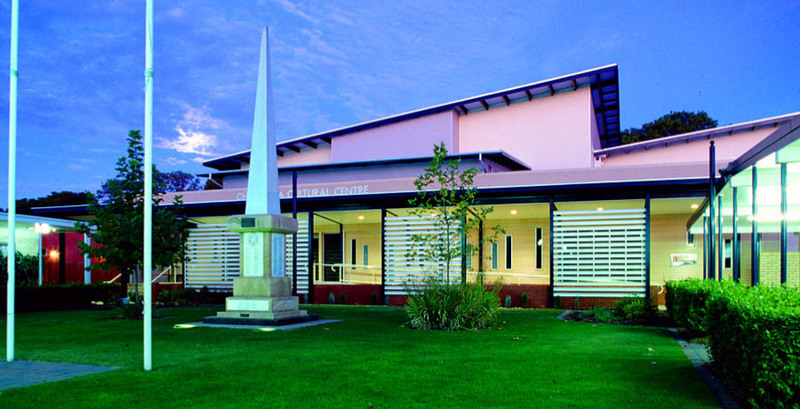 Found in the heart of Chinchilla’s central business district, the Chinchilla Cultural Centre was designed by award-winning architectural firm Fulton Trotter & Partners and officially opened in 1999. The centre is home to the Ironbark Theatre and cinema and shares its landscaped grounds with the Western Downs Regional Council Customer Service Centre, the Chinchilla Library and Lapunyah Art Gallery. The building’s timeless design earned the F.D.G. Stanley Award – Highly Commended from the Royal Australian Institute of Architects in 2000. Both the Western Downs Cinemas have EPFTPOS, disabled access, are fully air conditioned, a Candy Bar with popcorn, drinks and snacks available for purchase as well as ample parking on site. Are you interested in cinema advertising? What about hosting a private movie screening for your club, school or charity event? Contact us for more information via email Cinema.Dalby@wdrc.qld.gov.au or Cinema.Chinchilla@wdrc.qld.gov.au.